As more and more practices move to a hospital-employed model, internists will have to engage in due diligence about how the change affects billing, service contracts and collections. As more and more practices are moving to the hospital-employed model or are considering moving under the hospital umbrella, physicians' questions abound. Will I lose my autonomy? Will my hours be better? Will I be able to turn over to the larger entity such headaches as billing and human resources? Will Medicare reductions be “subsidized” by the hospital? Will my income become more stable? 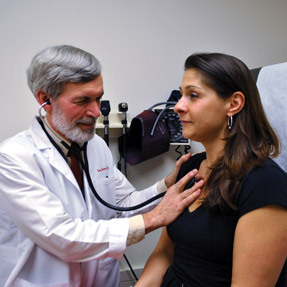 Were any lessons learned from the 1990s about how to manage a physician practice? There are no easy answers, and the practice considering becoming part of a health system will certainly need to do the required due diligence. First and foremost, get professional advice before signing any contracts. Because many physician practices will have production and/or productivity incentives, it is important to understand how the new system will calculate the revenue and expense side of the equation. This analysis will focus on the revenue side. Revenues are most affected by two areas: payer contracts and accounts receivable management. Let's start with payer contracts. Hospitals may or may not have better outpatient reimbursement than physicians, and it makes a difference whether they will be billing as a provider-based clinic as opposed to a private physician office. According to rules from the Centers for Medicare and Medicaid Services, many practices are billing with the incorrect place of service: hospital versus free-standing. Often, when a physician becomes employed by a hospital, the physician will bill using the hospital tax identification number and the hospital's fee schedule, which may be lower than the practice fees. Thus, it is important for practices undergoing an acquisition to understand what will and what won't change in the billing process. If the physician will be billing under his or her own provider number with the same location of service, there is no need to change to a lower rate contract unless and until the contract expires. Obviously, from the patient and insurer standpoint, the ideal is to use the least expensive setting to provide the service. It makes sense and is the responsible thing to do. However, since more hospitals own physician practices these days, unless the hospital has designated the physician practice as an outpatient department of the hospital, most insurance companies will only pay what they would pay in the physician office regardless of the tax identification number the service was billed under. Regardless of practice type (“provider-based” or “free-standing,” using CMS terms), the hospital must negotiate a specific physician services contract (including fee schedule) with each payer in order for the doctors to be considered “in network” under their new (the hospital's) tax identification. Regarding accounts receivable management, hospital administrators may not understand the different revenue cycle of an office practice. For example, from the hospital's perspective, collecting accounts receivable balances is a simple allocation of resources. In the hospital world, the accounts are much larger, thus they tend to have a much higher writeoff threshold. A $500 balance is small change for the health system. In a physician's office, $20 co-pays add up to a significant amount of the total practice revenue. It's all a matter of scale. Thus, before signing on with a hospital or health system, it is important to know who will be doing the billing and collection and how much control the practice will have for its own activities. When the staff collects the revenue as if paychecks depend on it, they will do a better job with issues such as registration, scheduling, reminders, time-of-service collection, claim submission and following up on denials and partial payments, and sometimes that attitude can get lost in the hospital patient accounts department. As many hospitals found out in the 1990s, the ones that are successful in owning/managing physician practices are those that recognize that the most successful model in the long run retains as many of the effective traditional physician practice dynamics as possible. Retaining financial control will be a good place to start when considering acquisition by a hospital or health system. For more information on managing practice finances, go online. For more information on the claims revenue cycle, see the American Medical Association's website.